So it has been a couple weeks - since it's not on their front page right now, but in case you missed it, I saved a screen shot of it for you... (and me). 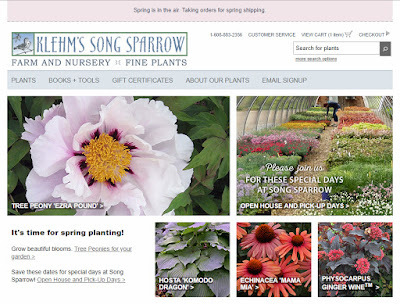 Klehm's Song Sparrow offered Tree Peony 'Lavender Grace' on the front page of their web site. And I've been thinking and thinking and thinking about it! So it wasn't an impulse purchase, but I finally caved in and purchased Tree Peony 'Lavender Grace'. 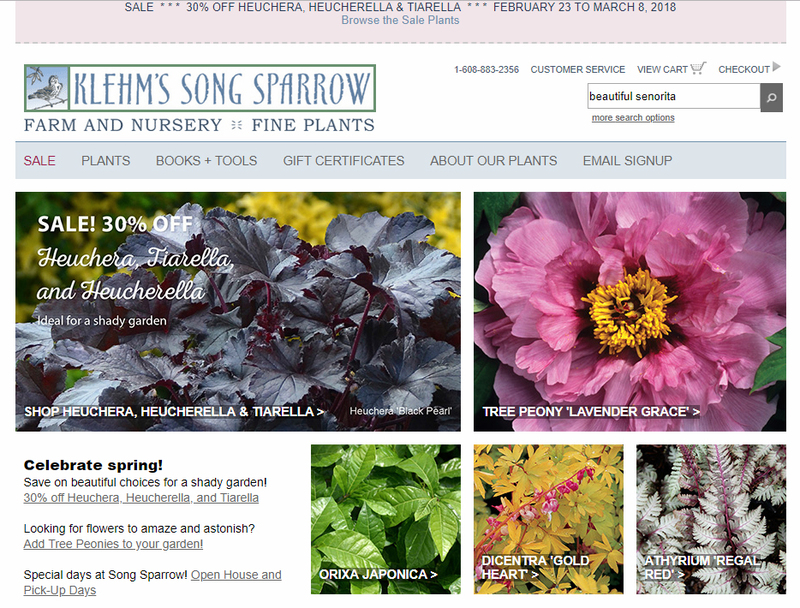 Puprle/lavender is my favorite color, and the front cover on their web site really got me. The lavender gray fern, the dark purple heucheras, and that peony, that lavender tree peony... I just couldn't resist. Also this one appears to be hybridized by Roy G. Klehm and registered in 1998. It's APS registration says it has pollen, but the fertility is not noted. It would be nice if works for hybridizing.